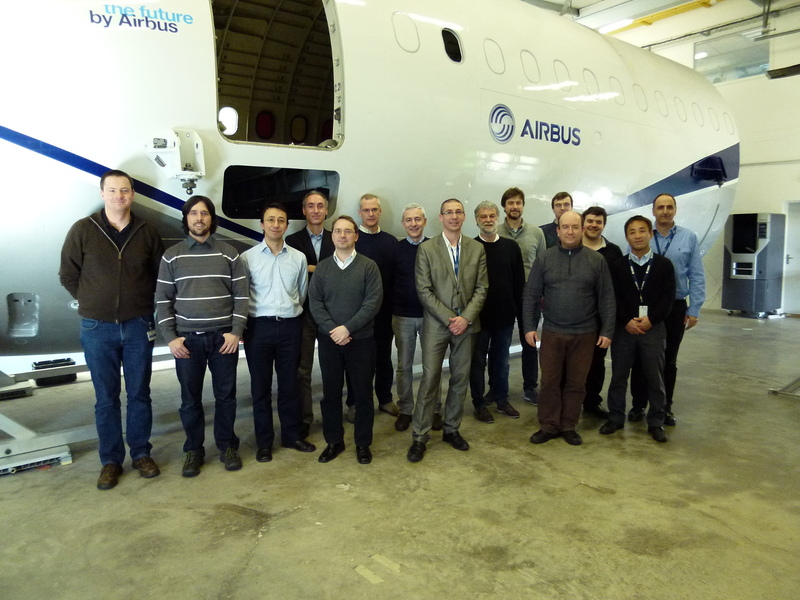 The COMANOID project held its kick-off meeting on the 4th and 5th of March 2015 at Airbus Operations SAS Saint-Nazaire. The partners of the project had the opportunity to visit the manufacturing floor of Airbus and measure the challenge the robots will face in this environment. It was also an important opportunity for the partners to present their current scientific background relevant to the project and discuss working plan for the first year of the project. This information will be available to some extent in deliverable 5.3. Finally, some nice pictures of the events are available.